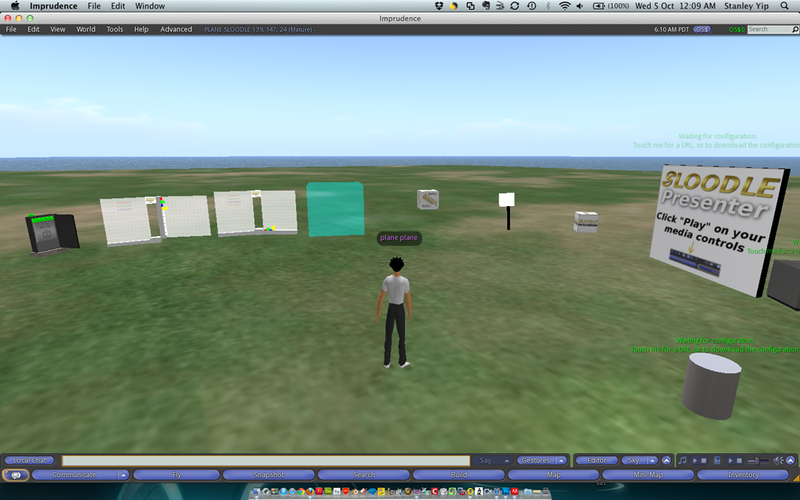 OpenSim -> From the SLOODLE Set rez the sub-components that are equivalent to the components that were setup in the Moodle course. 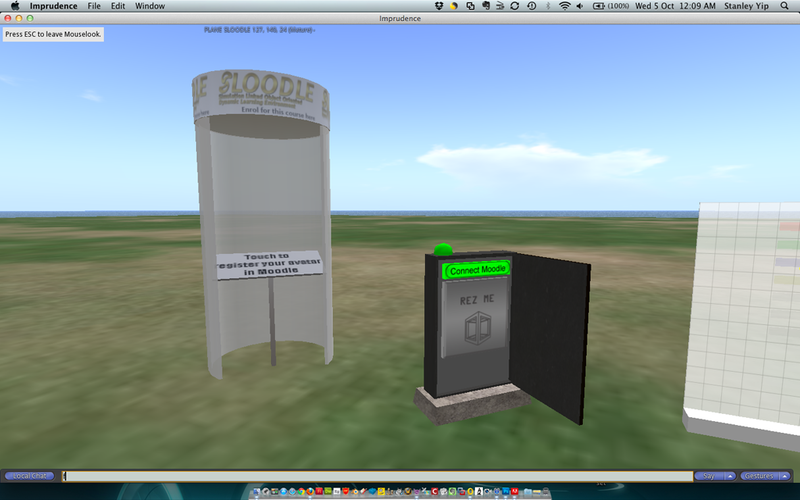 Very exciting to get this working today. 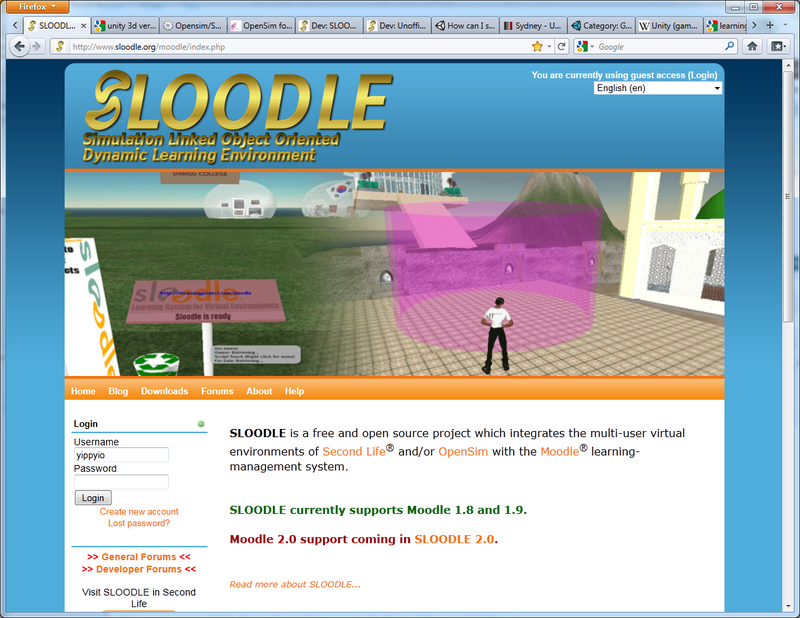 Over the next few days a colleague of mine, Lorence and I will be investigating SLOODLE and OpenSim.